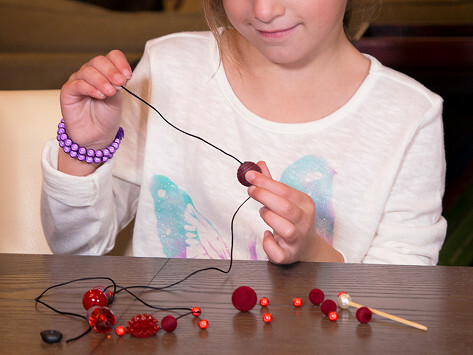 This necklace kit for kids is the perfect introduction to jewelry making, or a great way to get crafty on a rainy day. From wire and beads to tools and step-by-step directions, everything kids need to create two trendy necklaces is included. Dimensions: Box: 8” x 8” x 3”; Viviane: 17" x 1.5" x 0.75"